Although people talk about mortgages and deeds of trust all the time, not everyone knows that these debt instruments are not the same. Let’s find out why. A mortgage, also known as a mortgage loan, is a legal document used by people who want to raise funds to purchase real estate. It is also used by property owners to raise funds to serve any purpose by setting up their property as collateral. Taking out a mortgage loan is the only way to raise the funds, and a borrower can only guarantee repayment by placing a lien on his property. Should the borrower fail to meet the terms of the loan, the lender will seize and sell the mortgaged property. When the borrower defaults on the loan payments, the agreement goes through a judicial foreclosure process. This involves the lender suing the borrower for ownership of the mortgaged property before foreclosing on it. It is a costly and painstaking process, but it is the only legal remedy available to the lender. Only a number of US states allow mortgage-only agreements, including New York, Vermont, and Florida. 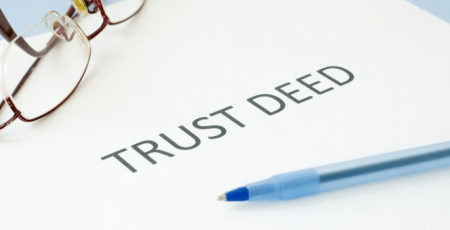 A deed of trust, also known as a trust deed, is where a third party (called a trustee) holds the title of a property held as a security for a loan agreement between a borrower and a lender. In a deed of trust document, a lender is called the beneficiary, while a borrower is referred to as the trustor. If the trustor fails to meet the terms of the loan, it is the trustee’s responsibility to foreclose on the property and sell it on behalf of the beneficiary. In this regard, courts can be avoided to facilitate the whole foreclosure process. Lenders often prefer this set up because the foreclosure process is fast-tracked and inexpensive. However, the manner in which the process moves depends on the state laws and procedures set for deeds of trust. 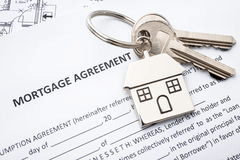 So what’s the difference between a mortgage and a deed of trust? A mortgage is a legal document where a borrower puts up his property as a collateral or security for the loan. It is this document that allows a lender to foreclose on the property should the borrower default on the loan payments or break the terms of the loan. A deed of trust also holds a property to secure the payment of the loan. However, a deed of trust involves a loan agreement between a trustor (borrower), a beneficiary (lender), and a third party who is referred to as a trustee. If the borrower defaults, a mortgage goes through a judicial foreclosure process before the lender can actually foreclose on the property. In contrast, this lengthy and costly process can be avoided in a deed of trust. The trustee auctions the property so that the beneficiary can recover the collateral’s value quicker while avoiding expensive legal fees.